Hoo it's perfect so! i prefer so your A319 and A320NEO Version of the IDG A32X. And of course the 303 version of the A330 with GE engines My pilots can download your aircraft and use it so, that's great! Wonderful. That system should run it just fine! I've specially optimized all the nasal and canvas code to be efficient on frames. And will be very soon adding much more things in the MCDU (FMC). PS: A319neo will be added very soon also. I understand, it will be more better! Yes haha I do not doubt it, you have made a very perfect plane. Last edited by Johan G on Sun Nov 12, 2017 2:06 pm, edited 1 time in total. Thanks alot, but she is far from finished. Still got much work to do. We will require the 2017.3.0 due to the new nasal flightplan system for MCDU, that is the one downside. Okay haha no problem I understand, it's not easy to make No problem! I have FGFS 3.4.0 and i hope i can use the IDG-A32X with it.. Sorry but do not support the 3.4.0. The version does not support the new things we are using in nasal. You should try the version 2017.3.1, it's a great version, and good frames also. Not true. You can install multiple FGFS at the same time!!! I do this so I can keep using the FGRun Launcher, I just change the paths. If you need more help with setting it up, PM me, and I explain how. Really? Hoooo that's great! I understand, i see... Yes i want it! thanks for the proposition! 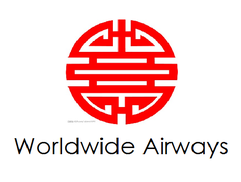 Here is the Worldwide Airways promotional trailer video! Worldwide Airways Farewell flight of our Airbus A318 and A320! I thinks that Worldwide Airways will made the farewell flight of our olds Airbuses (the A318, A320) this week-end! this day or tomorrow will be fine... If it don't happend: don't worry more later. For this flight we want to start it at LFPG fly over Paris city, and back to the airport, like the inaugural flight of our A330 before! And with a low pass over the airport too! Everyone can join the event on FG multiplayer! On Mumble too, but personally, my mumble don't work, so i can only communicate with chat. If someone have my livery for this plane, you are invited to join the event too! I will take screen shots and post it in the forum. Sorry but now i don't have the time to organized this farewell and inaugural flights: but they will arrived in a few month or couple of week! I search time to made it and wait that the LFPG ATC was online!